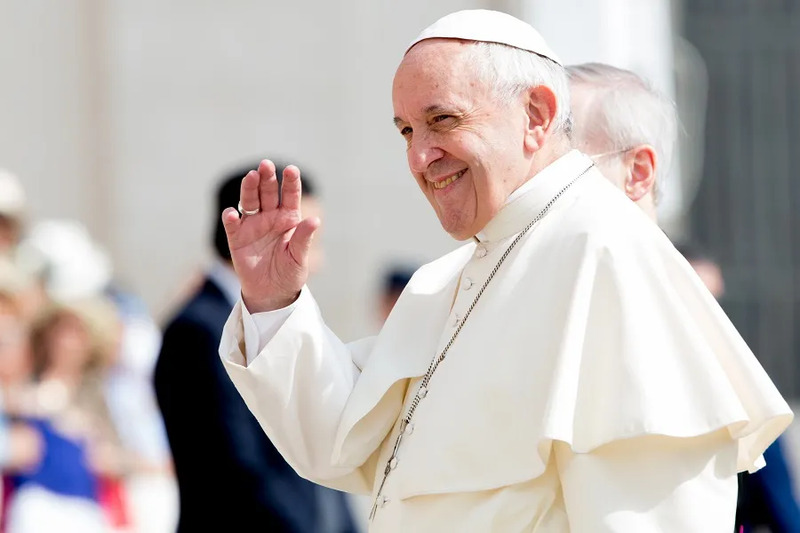 Vatican City, May 3, 2017 / 04:30 am (CNA/EWTN News).- On Wednesday Pope Francis recalled his recent visit to Egypt, saying that given its rich biblical and cultural history, the country is a sign of hope, and has a special role to play in brokering peace in the Middle East. “Egypt for us was a sign of hope, of refuge and of help,” the Pope said during his May 3 general audience. He noted how in scripture Jacob and his sons traveled to the region when it was in famine, and later Jesus himself also found refuge there from Herod. Pope Francis spoke just days after returning from his April 28-29 visit to Egypt, which was made largely as the result of a recent thawing in relations between the Vatican and the prestigious al-Azhar University, one of the highest institutional authorities in Sunni Islam, which had been strained since 2011. The visit also took place in wake of increasing attacks on Egypt’s Coptic community, and as such was meant to offer support for local Christians as well as cement Catholic-Muslim relations. During his visit, Pope Francis met with the Great Imam of al-Azhar, Ahmed Mohamed al-Tayyeb, at the al-Azhar University, where he also spoke to the International Conference for Peace. He then met with Egypt’s president, Abdel Fattah el-Sisi, and civil authorities before sharing a moment of prayer with Coptic Orthodox Patriarch Tawadros II. He also spent time with Egypt’s Christian community, celebrating Mass for Catholics on the second and final day of his trip, and meeting with the country’s priests, religious and seminarians. Francis told pilgrims that his visit to the al-Azhar University had the “double horizon” of promoting dialogue between Christians and Muslims, and of promoting peace on a global level. This serves as a reminder “that peace is built through education, the formation of wisdom, of a humanism which includes as the religious dimension, the relationship with God, as an integral part,” he said, pointing to the speech given by al-Tayyeb. “Peace is also built starting from the alliance between God and man, founded on the alliance between men,” he said, explaining that this is a law which can be summed up in the two commandments of love of God and neighbor. Turning to his encounter with Egypt’s Christian community, the Pope said that Christians in Egypt, as in every other nation, “are called to be the leaven of brotherhood,” which is only possible if they are in communion with Christ. Recalling how he signed a joint-declaration with Patriarch Tawadros, Francis said the two renewed their commitment to finding a shared baptism, and prayed together for the “the martyrs” who have died in recent attacks on the Coptic community. “Their blood fertilized that ecumenical encounter,” he said, noting that in addition to himself and Tawadros, Patriarch Bartholomew I of Constantinople was also present. Francis then pointed to the Mass he celebrated with Egyptian Catholics, calling it a celebration of “faith and fraternity,” in which the presence of the Risen Lord was truly felt. 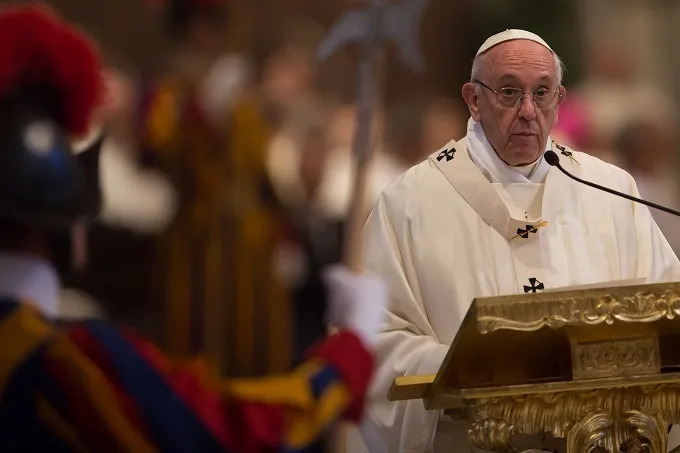 Vatican City, Feb 14, 2019 / 11:13 am (CNA/EWTN News).- The liturgy, Pope Francis said Thursday, cannot be reduced to a matter of taste, becoming the subject of ideological polarization, because it is a primary way Catholics encounter the Lord. 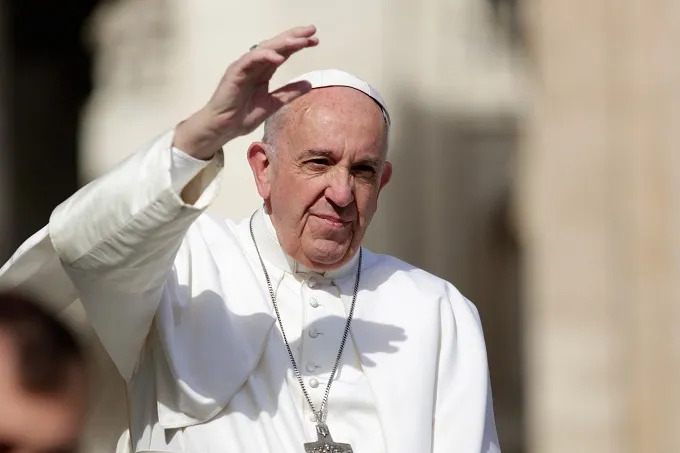 Vatican City, Jun 6, 2018 / 04:19 am (CNA/EWTN News).- Pope Francis Wednesday said that the sacrament of Confirmation is a gift meant to be shared with other people, both inside and outside of the Church, which he stressed is not only the hierarchy, but is made up of all baptized faithful. “The Church is us who walk, us who are here in the square. It’s everyone,” he said. Pope Francis spoke to pilgrims in St. Peter’s Square for his weekly audience address, which is currently dedicated to a series of catechesis on the sacrament of Confirmation. The gift of the Holy Spirit, he said, helps candidates mature in the faith and allows them to in turn become a gift for others. 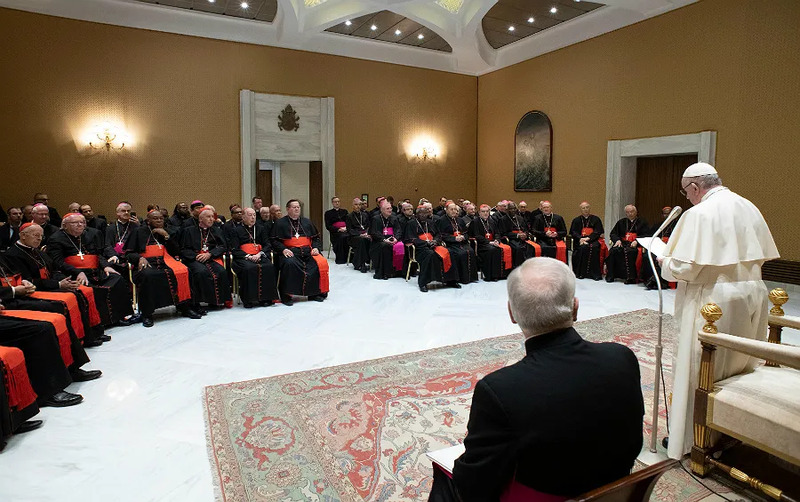 Confirmation is linked to the universal Church and actively involves candidates in the life of the local Churches where they come from, he said, and since the bishop is the head of the local Church, this is why he is the ordinary minister of the sacrament. Pope Francis then challenged the crowd to think of their own parish community and how they act after giving and receiving the sign of peace during Mass. Francis closed his address reiterating that Confirmation is a gift meant not only for the recipient, but also for the spiritual good of others.